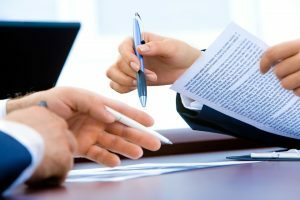 There are numerous ways to facilitate asset transfers, so you should definitely discuss your options with a licensed estate planning attorney. If you go it alone without any professional guidance, you could make mistakes that have unintended negative consequences. This can definitely enter the picture if you have someone with special needs on your inheritance list. Medicaid is a need-based government health insurance program. Because it is intended for people with a significant level of financial need, there is a $2000 asset limit. This being stated, there are some things that don’t count, including a home, personal belongings, and household effects. Clearly, people with disabilities are going to require costly medical attention throughout their lives. Health insurance is a must, and since many individuals with special needs cannot earn income, they have limited resources. As a result, they can qualify for Medicaid as a source of health care insurance. Speaking of income, there is another program that provides a monthly monetary infusion for people with disabilities that have little or no earning power. It is called Supplemental Security Income (SSI). The amount that a benefit recipient receives is modest, but it certainly helps. When someone has been approved for Medicaid coverage and Supplemental Security Income, the eligibility is not necessarily permanent. A significant financial windfall could trigger a forfeiture of benefit eligibility. As a result, you have to take pause if you want to leave inheritances to someone with special needs that is enrolled in these programs. There is an estate planning solution if you would like to provide support for a loved one that has a disability. We should point out the fact that you can implement this strategy if you want to make a person with special needs more comfortable while you are still living. You could establish a supplemental needs trust for the benefit of a person with special needs without impacting government benefit eligibility. These instruments are alternately referred to as special needs trusts. After you fund the trust, the trustee that is named in the trust declaration can use these assets to satisfy the supplemental needs of the beneficiary. The trustee would be able to pay for a wide range of different goods and services without impacting government benefit eligibility. Everything from vacations to musical instruments to exercise equipment can be purchased by the trustee. However, it is important to note that the beneficiary can never directly access funds in the supplemental needs trust. Now that we have set the stage, we can get to the point of this blog post. The Medicaid program is required to seek reimbursement from the estates of people that are enrolled during their lives. If you establish a special needs trust for the benefit of someone else with your money, it would be looked upon as a third-party special needs trust. In a legal sense, the assets belong to the trust; they are not part of the estate of a deceased person that was enrolled in the Medicaid program. As a result, these assets would be out of reach during the estate recovery efforts. A successor beneficiary that you name in the trust declaration would assume ownership of the remainder. A person with a disability that is enrolled in these programs may come into money for some reason. It could be a personal injury settlement or an inheritance that was bequeathed by someone that did not understand the impact it could have on benefit eligibility. Under these circumstances, a supplemental needs trust could be established with these funds. This would be a first party or self-settled special needs trust. If there is a remainder in the trust after the death of the grantor/beneficiary, the Medicaid program would be able to attach assets that remain in the trust. In addition to all of the great information that we pass along on this blog on a consistent basis, there are other resources that you can tap into on this website. One of them is our estate planning worksheet. This tool has been carefully prepared by our attorneys, and you can obtain a great deal of useful insight if you take the time to go through it. We are offering the worksheet on a complimentary basis, you can click the following link to access your copy: Free Estate Planning Worksheet.